Trying to keep up-to-date with the ebb and flow of regulations that occur in the water industry is a challenge, and keeping abreast of the shifting sands of byelaw amendments and legal revisions can be a full time job. 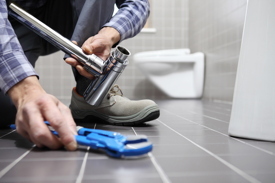 It’s common knowledge that the Water Supply (Water Fittings) Regulations and Scottish Byelaws are national requirements governing the design, installation, operation and maintenance of plumbing systems, water fittings and appliances which use water. They are designed to legally protect public health and promote the efficient use of water. However, it’s a less well known fact that just over a year ago WRAS released an amendment in relation to installation requirements under the Water Supply (Water Fittings) Regulations 1999 in England and Wales, which now means that the water appliances that we all use every day will need an additional double check valve to be installed at the point of connection between the water supply and the appliance. Double check valves protect the water supply from the risk of backflow and back siphonage in domestic homes and commercial buildings, ultimately preventing potential contaminants getting into other parts of the system, especially drinking water. In April 2017, WRAS identified a risk that incorrect installation of water fittings may result in contravention of the water byelaws and as such added an amendment to installation requirements to mitigate any risk to public health. Double check valves are specifically designed to protect water supplies from contamination and are used to safeguard the water supply to millions of domestic and nondomestic properties nationwide. UK water regulations classify the range of domestic and nondomestic uses of water into five fluid categories. These categories are graded from 1 – 5; from the cleanest potable water rated number 1, to water classed as posing a significant risk to health graded as a 5. Albion valves has added new WRAS approved double check valves to their water industry product portfolio, that can be specified across the range of fluid categories to help address the problem. With ½ to 2’’ screwed fittings, 15-28mm compression and 2-10” flanged ends, this range is suitable for a host of applications. Daniel Littlewood, senior water regulations technician at Severn Trent Water comments: “At Severn Trent, as is the case across many other water companies, our team of water fittings technicians visit both domestic and non-domestic properties to ensure plumbing systems are in accordance with the Water Supply Regulations. 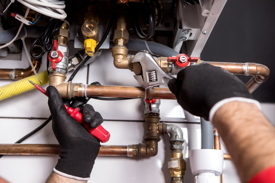 “Fluid categories not only define the potential level of contamination risk, but also define the recommended rectification method to the affected plumbing system, in order to allay the risk. At Albion we work closely with water companies like Severn Trent to identify the common problem areas in water contamination. As a result, we are able to offer this insight to our distributors to help support and inform their purchasing decisions. The approval goes a long way to ensuring the functionality of the valves, and guaranteeing peace of mind that continued protection is given in these applications. Any water fitting which will carry our receive water from the public mains water supply in the UK must comply with the Water Supply (Water Fittings) Regulations or Scottish Byelaws. Under these rules, a water fitting ‘should not cause waste, misuse, undue consumption or contamination of the water supply’ and must be ‘of an appropriate quality and standard’. WRAS Approval is granted directly by representatives of the water suppliers. WRAS Approval on a product demonstrates compliance with these regulations. 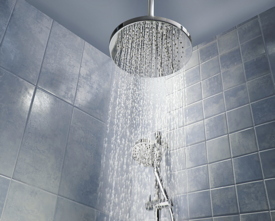 Products such as valves, boilers and showers can be tested for approval, which once achieved shows full compliance with the regulations and byelaws – providing that installation is according to any conditions given with the approval. Non-metallic materials can also be tested for WRAS Approval and are tested for their effects on water quality. It should be noted that the law relating to safe water falls to the national parliaments of England and Wales, Scotland and Northern Ireland. England and Wales: S.I. 1999 No. 1148 – The Water Supply (Water Fittings) Regulations 1999 and subsequent amendments. See seond link below for full details.